With the massacre at Sandy Hook Elementary in Newtown, Connecticut fresh in everyone’s memory it’s pretty amazing the lack of attention given to the ongoing tragedy in Chicago. People are dying there in record numbers, but since they’re mostly poor black youth it’s not getting the kind of wall to wall coverage we got with Sandy Hook. 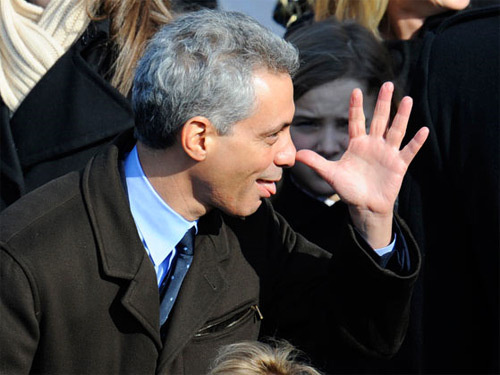 CHICAGO (STMW) – One person was killed and 13 wounded in gun violence over the Christmas holiday, including an 11-year-old boy grazed by a bullet and a man who was shot to death during a dispute in the Englewood neighborhood. Facing a climbing homicide rate, Chicago is poised for another fight over handguns — just two years after the last one. When the U.S. Supreme Court nullified the city’s 28-year-old handgun ban in 2010, Chicago responded by passing one of the nation’s toughest handgun ordinances. And city officials sounded ready Thursday for another battle after a federal appeals court tossed out Illinois’ ban on carrying concealed weapons this week. But there is little doubt that Chicago officials will do something given the heightened concerns about escalating gang violence and a homicide rate that is about 20 percent higher than last year — and could very well pass 500 deaths by Dec. 31. One place crying out for change is President Obama’s hometown of Chicago. For the school year that ended June 15, 319 students in Chicago Public Schools were shot; 24 of the student’s died. Chicago is one place that needs change. They’ve tried banning guns and it’s not working. It’s time for a new answer.